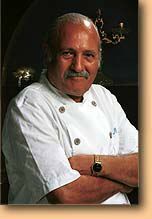 Chef Michel Tordjman, is a master of French Cuisine. Together with his charming wife Nina, they have been running Au Bistrot since 1973. They have reached the heights of their profession and among their many awards Is the Israel Jubilee Award for the BEST French Restaurant. 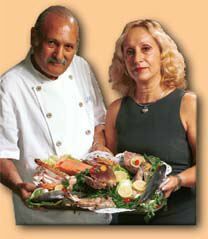 It all began in 1970 when Michel and Nina chanced to meet a young Belgian chef called Bruno who was visiting Eilat. Bruno and Michel became lasting friends  a friendship that has turned this beautiful French restaurant in Eilat into the masterpiece it is. Today, Chef Bruno of Brussels is considered to be one of Europe's foremost French chefs. Every year since that first meeting, Michel has traveled to Belgium on a pilgrimage of creative renewal and study with his lifelong friend Bruno. The results are evident in the subtle magic that is served in Au Bistrot. Prices at Au Bistrot are very fair, averaging about $30 per guest. Au Bistrot also caters for special celebrations and events. Chef Michel's philosophy is simple. Each dish must be a visual and culinary masterpiece and it is. At Au Bistrot, Food is Art!